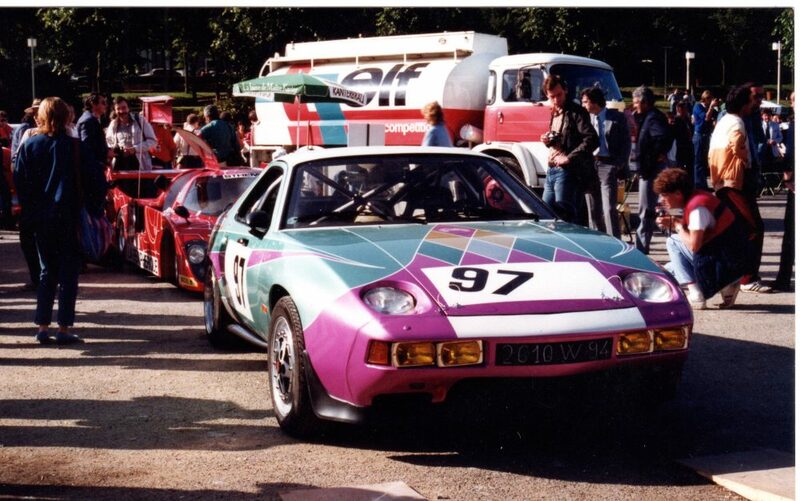 Think 928 and the distended curves of the Wolfgang Möbius-designed car, almost as recognizable as the 911 itself, come to mind after the pop-up lights and the V8 in front of the windshield. As a Porsche fan thinking about Le Mans, many cars make up the marque’s decades of success at the Circuit de la Sarthe—from the 356 to the 917, the 956 to the most recent 919. 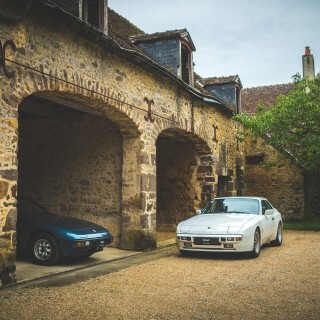 But think of the 928 and Le Mans together and you would be excused for drawing a blank. 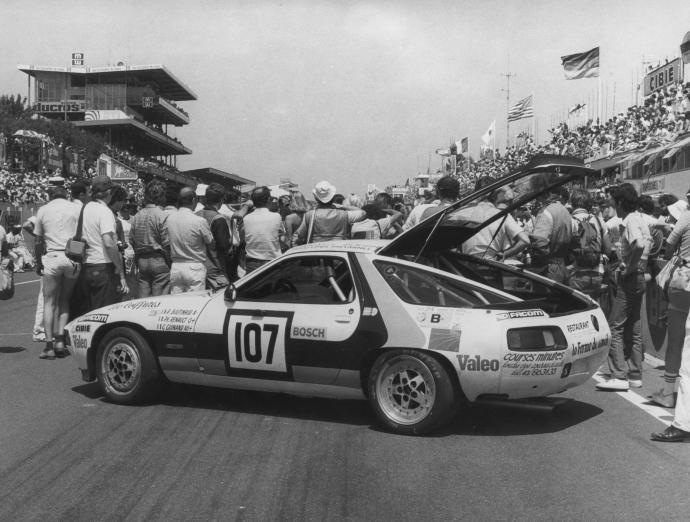 For 911s in the ‘70s and ‘80s, the GT classes were practically their second home testing grounds, but in ’83 and again in ’84, a lone 928 took on the 24 Hours and this is the only 928 to have ever been entered in this famed race. 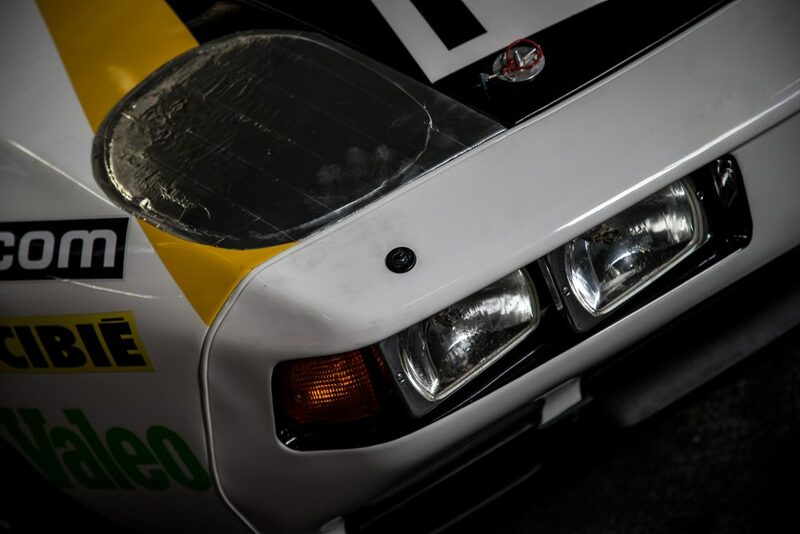 The car hasn’t been seen since, but its owner kept it in the workshop for over thirty years and has just finished a full restoration of this odd but intriguing piece of Porsche Le Mans history. I went to a rather nondescript building on the outskirts of Paris to see it. 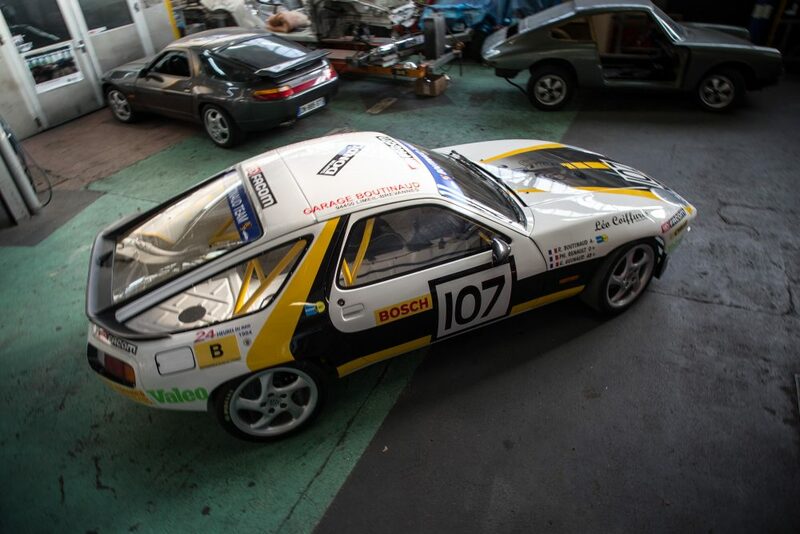 Stripped out to the absolute bare essentials, this 928 is as light as possible, which is good, because the first thing we did was run it over my foot. There are a lot of lesser cars to cause you to walk around with a limp for the rest of the afternoon though. Recovering in the office with an industrial strength espresso, Raymond Boutinaud sat down to tell me his story. 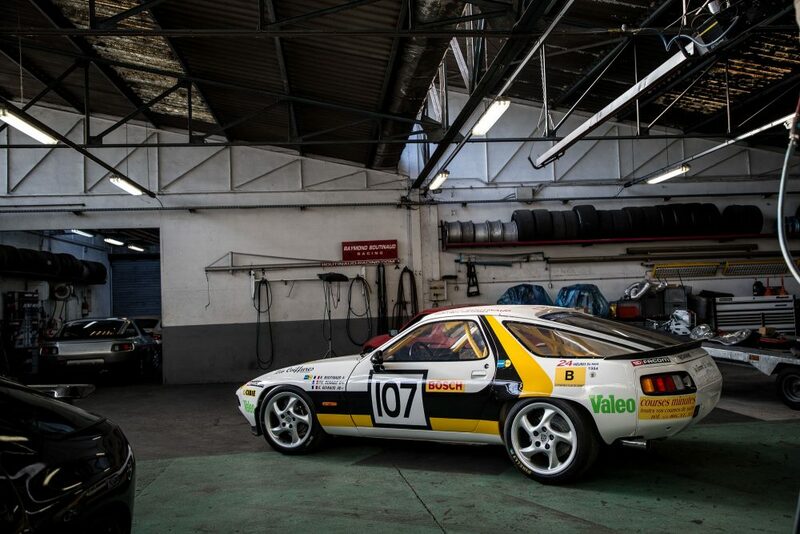 The more track days he took it to the more he wondered what it would be like as a race car. 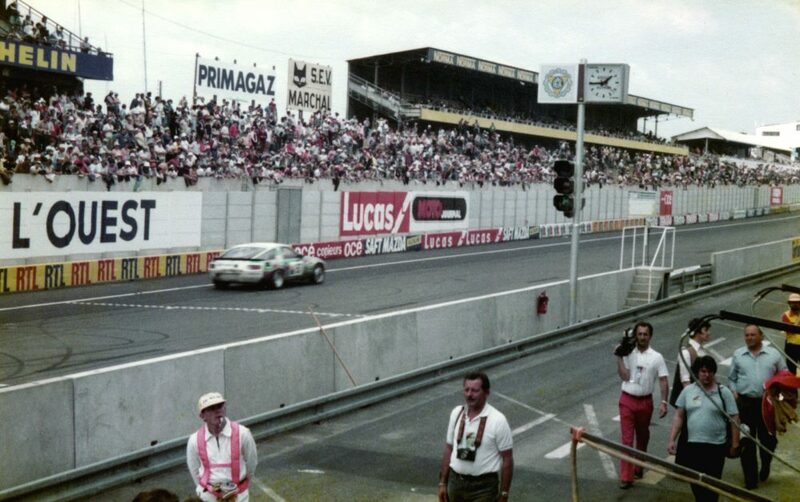 He wasn’t the only one, as ACO, the Le Mans organizers, and Jürgen Barth, head of Porsche motorsport activities, were both keen to see the 928 run in the world’s biggest race. 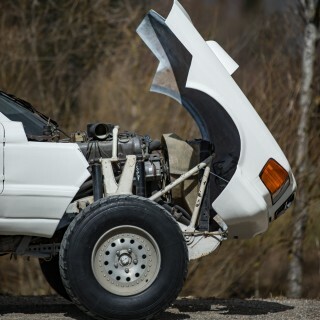 Raymond didn’t want to start pulling his beloved road car apart for no reason though, so he waited until his entry for the ’83 event was confirmed—which didn’t happen until March—which left a less than ideal two months for the entire build to start and end. 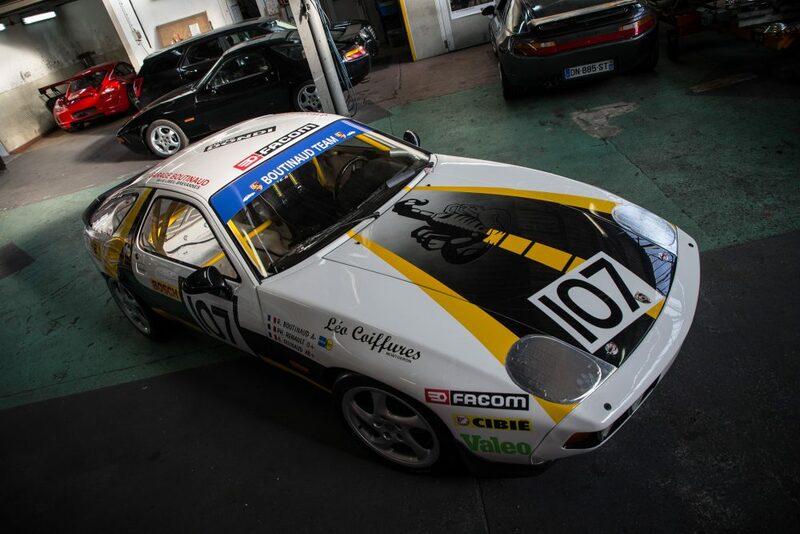 The class Raymond entered was Group B, the same that the 959 was initially intended for, but it didn’t take off in circuit racing as it did in rallying, or like Group C did. 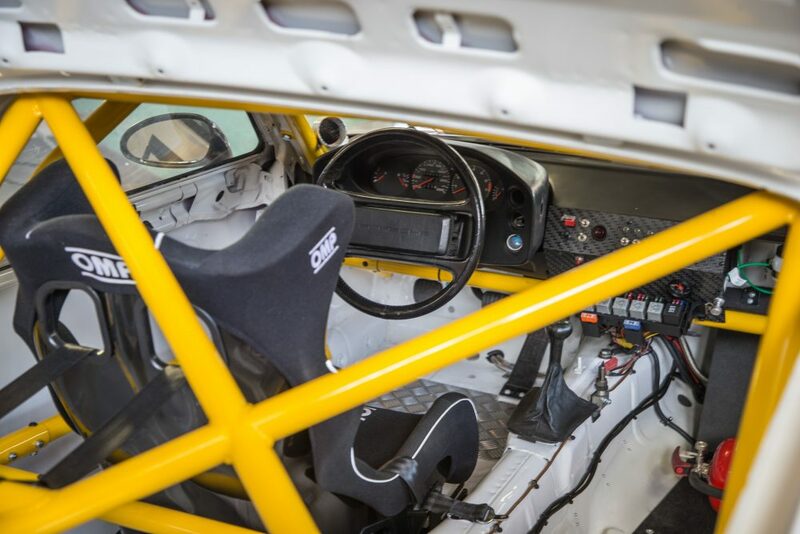 It allowed homologated performance upgrades, which Raymond attempted as much as the timeframe and his budget allowed. 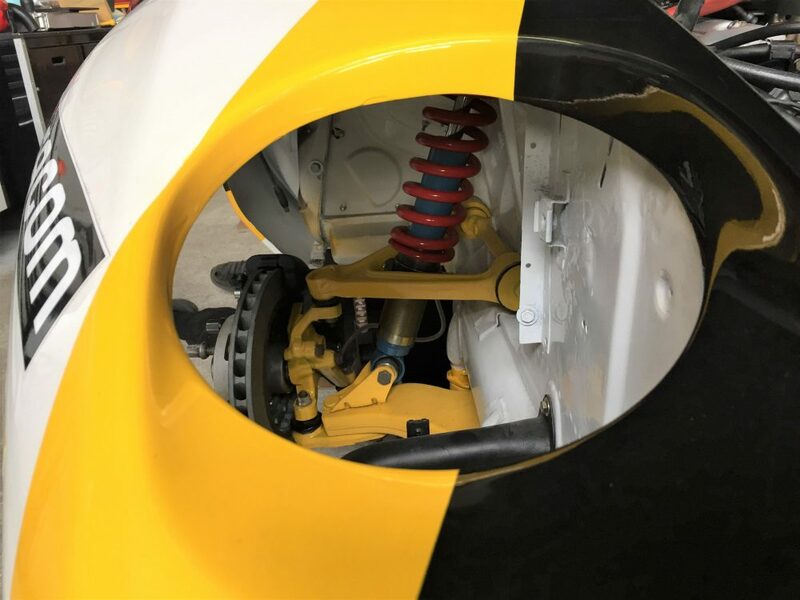 Barth arranged a bespoke Bilstein suspension setup to be made and got MAHLE to prioritize a set of eight lightweight pistons. 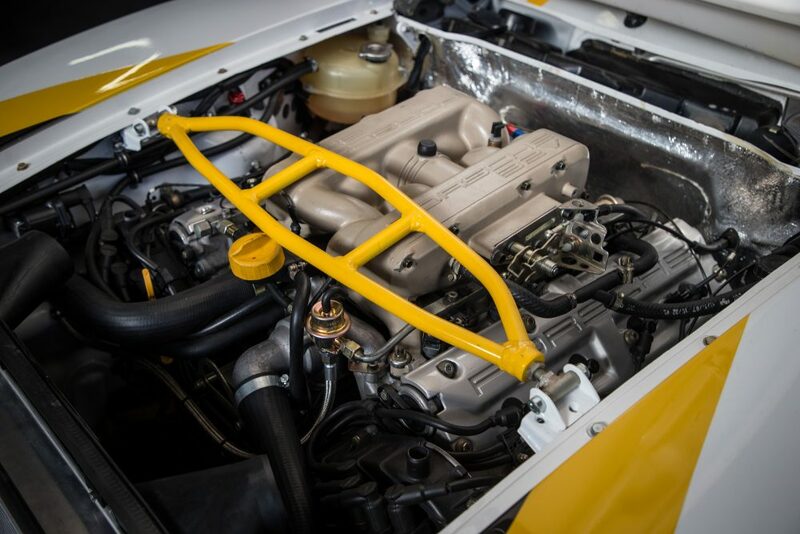 Raymond sent the engine block to Germany for the cylinder shafts to be coated with a special anti-friction agent called Nikasil (which would start appearing in road cars more frequently around this time too). 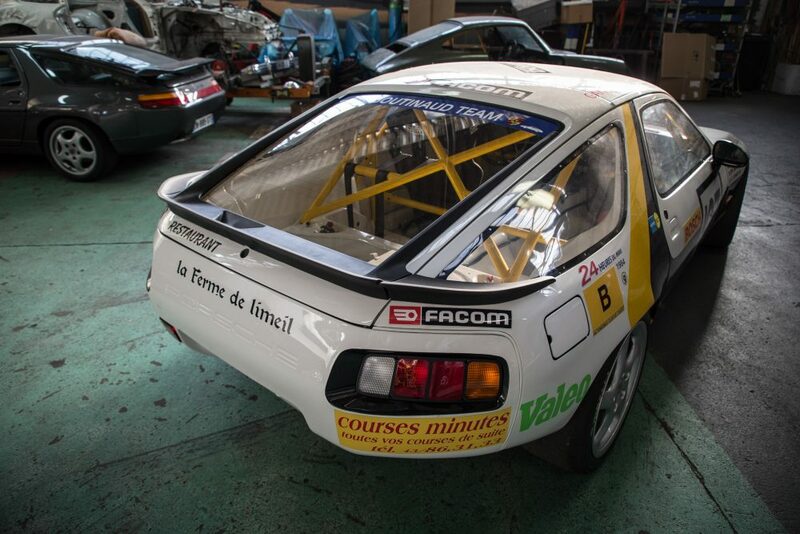 Porsche also made an aluminum roll cage for the 928 and sent it to Paris to be installed. 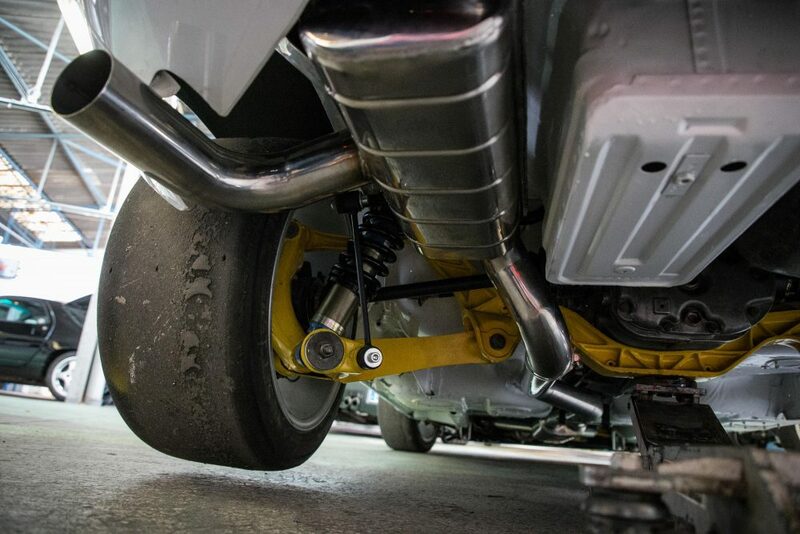 To cope with the massive amount of additional strain from racing, the wheel hubs were bored out so that bigger bearings could be fitted, and Barth also raided the Stuttgart parts bin to find a set of brakes left over from the 917 project—before they were all snapped up for the SCRS one. 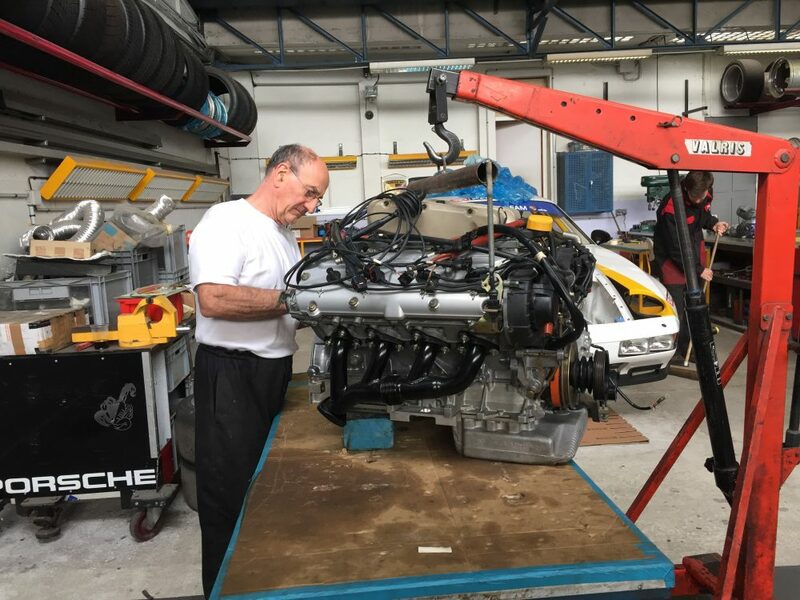 Raymond made some modifications to the camshaft to alter the valve lift and got a local French company to make it. 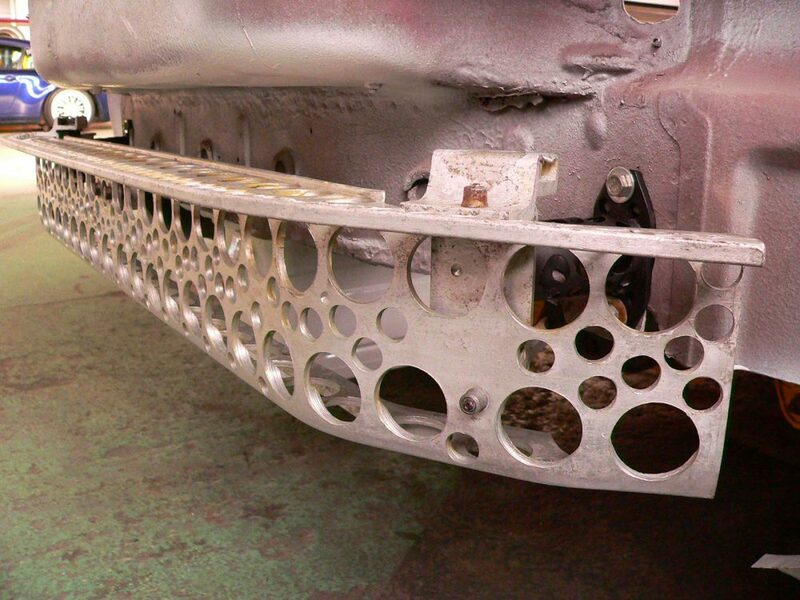 He also machined the head channels out slightly to improve airflow. 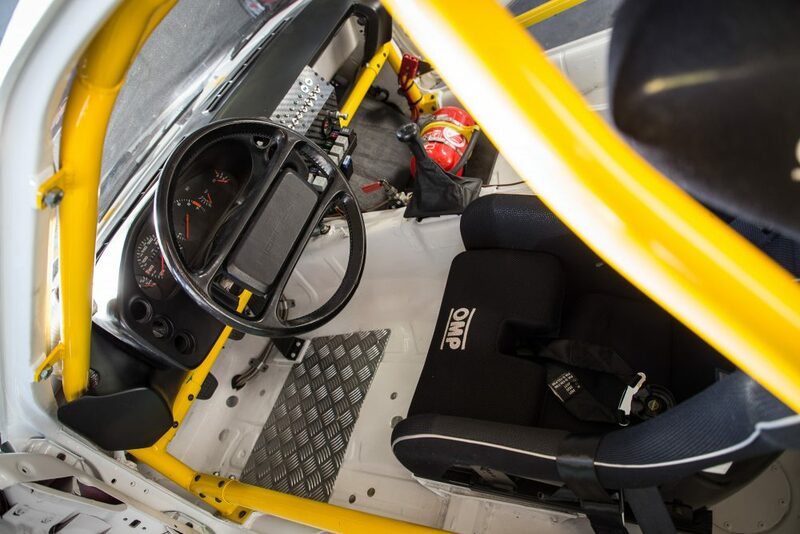 On such a big car saving weight was an even more important factor, so the whole interior was surplus to requirements. Stripping it all out so not even the door skins remained saved a massive 370kg. A minimalistic wiring loom also took off another a significant 30kg. 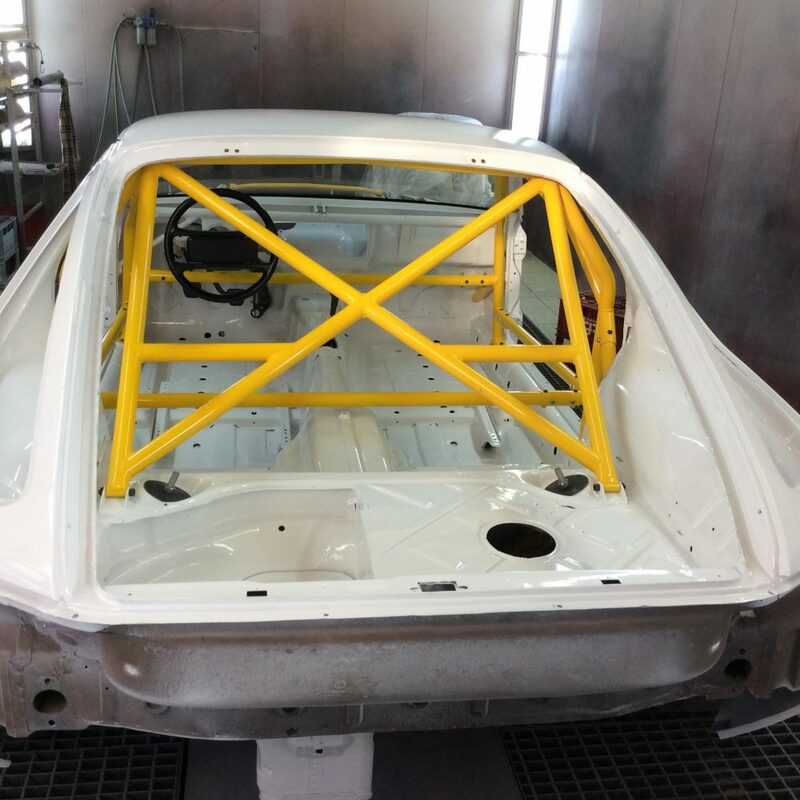 He did such a thorough job that he actually had to add 20kg of ballast to the car at the end to bring it up to the class minimum weight. With so much engineering work to do, Raymond didn’t have enough time to design the color scheme, so he sent it to a local guy asking only that it should be “eye-catching.” The metallic light green and red wasn’t exactly what he had in mind but there was nothing he could do about it. 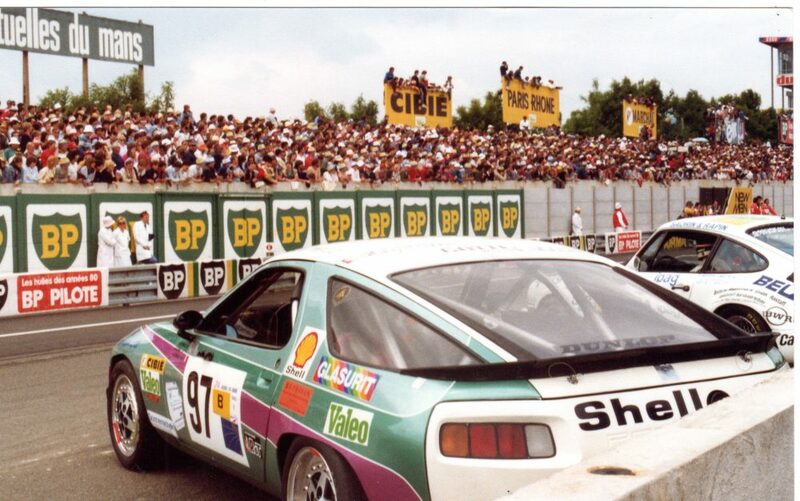 Pretty much the entire class, which consisted of 930 Turbos and a sole BMW M1, drove away from the 928, but several soon ran into problems. So by putting in regular lap times and being extra careful to keep out of the way of the works Rothmans 956s, the team carried on. Until the early evening when Lepage spun the car at Indianapolis. Thirty years later, Raymond still doesn’t know exactly what happened as Lepage never explained the accident. 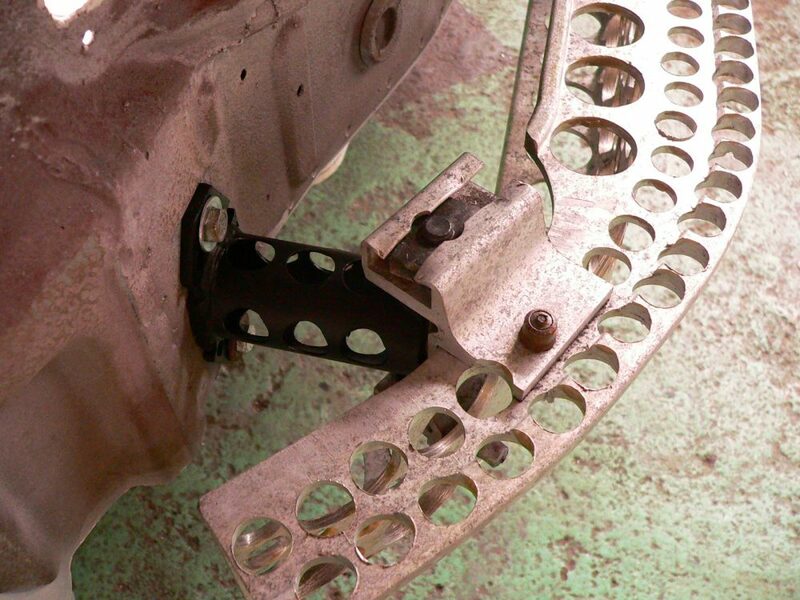 Back in the pits they found that a front hub was broken, a part they didn’t have a spare for. 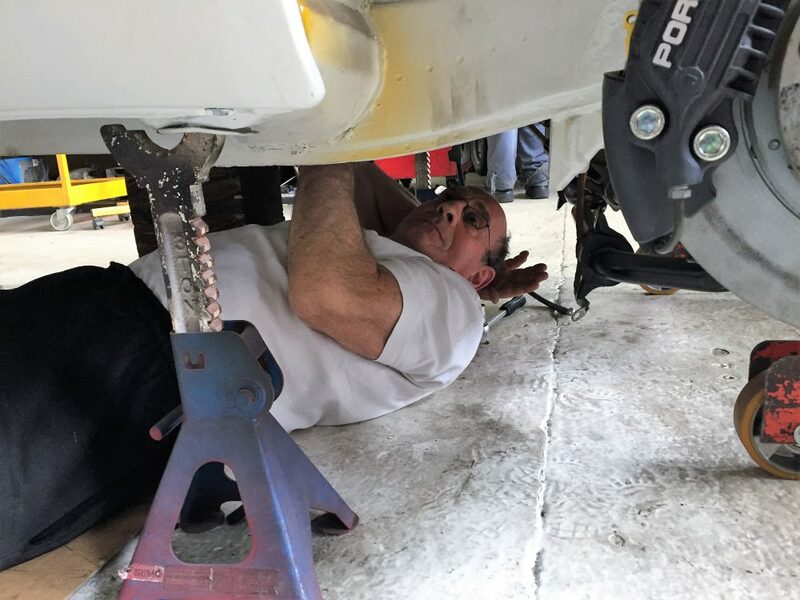 They didn’t give up though and the team was soon headed into the spectator car park where they managed to convince a 928 owner to sell his front wheel assembly to them. They then took this to the mobile Bilstein machining unit and got them to bore it out to accept the bigger bearing. 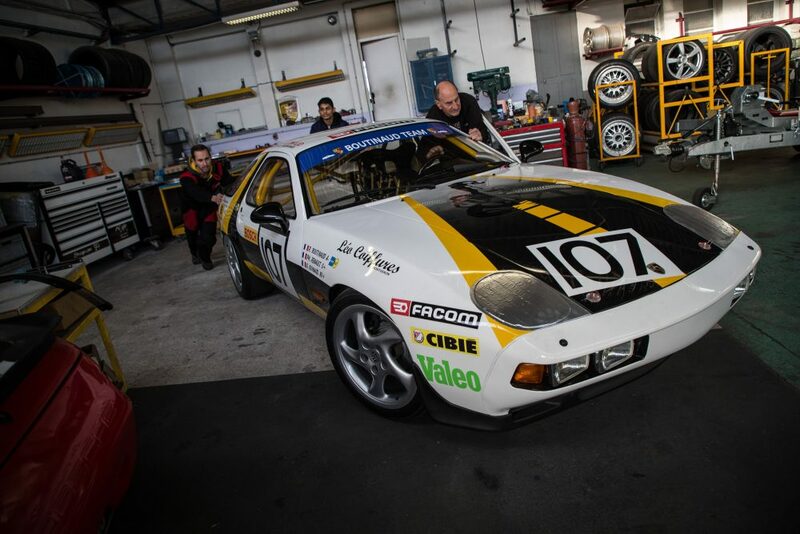 It took five hours to get the car ready and back out on track again at midnight. 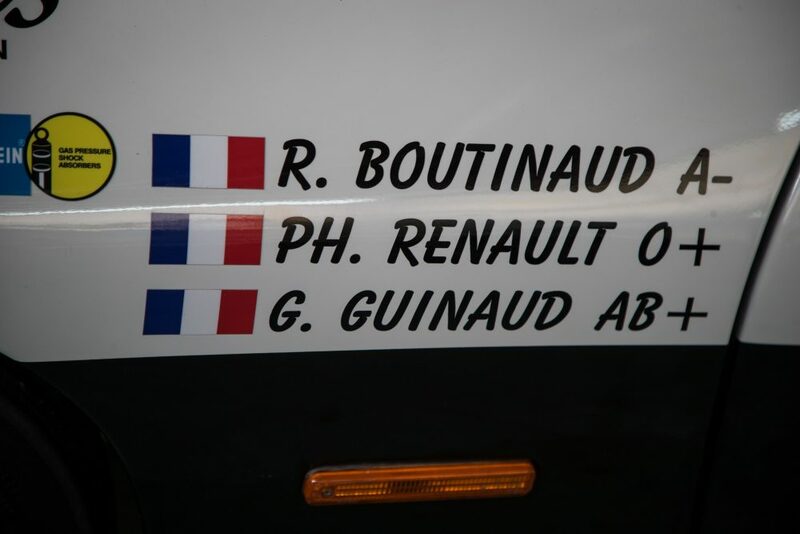 They continued racing, and for the next 14 hours Raymond and Gonin carried on lapping like clockwork and at four in the afternoon they took the checkered flag. Sadly, due to the time lost, the 234 laps they did weren’t enough to be credited with a finish, so history records ’83 as an “NC” for “Not Classified.” Not much different to a DNF. 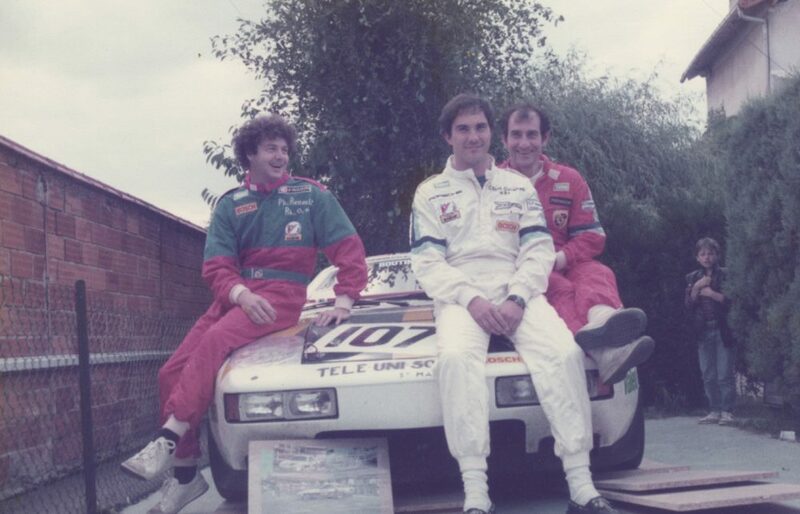 The Porsche people were impressed though, so they sent a bottle of champagne and asked Raymond to do the same again the following year. With reduced revs and easier accelerating out of the slower corners and extended pit stops where they had to refill the water as well as the fuel, they were much slower than they’d intended or could potentially be. 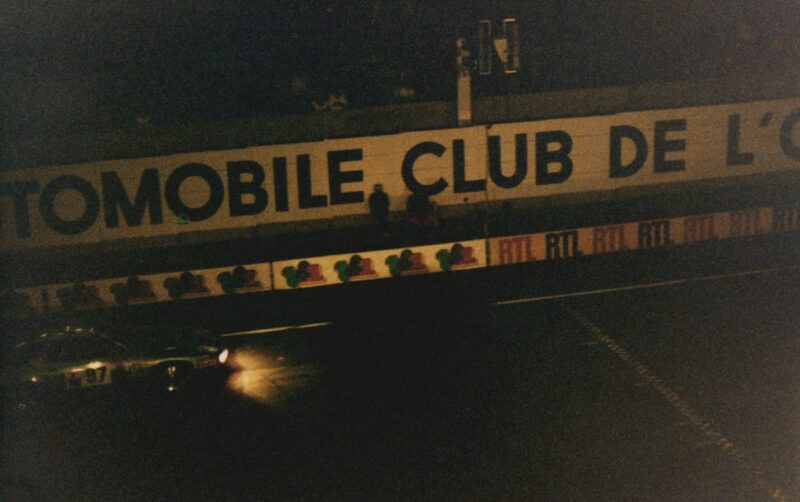 On the second half of the Mulsanne straight, still a few years before the chicanes were added, they could still do almost 180MPH though, just 40 less than the top Group C cars. 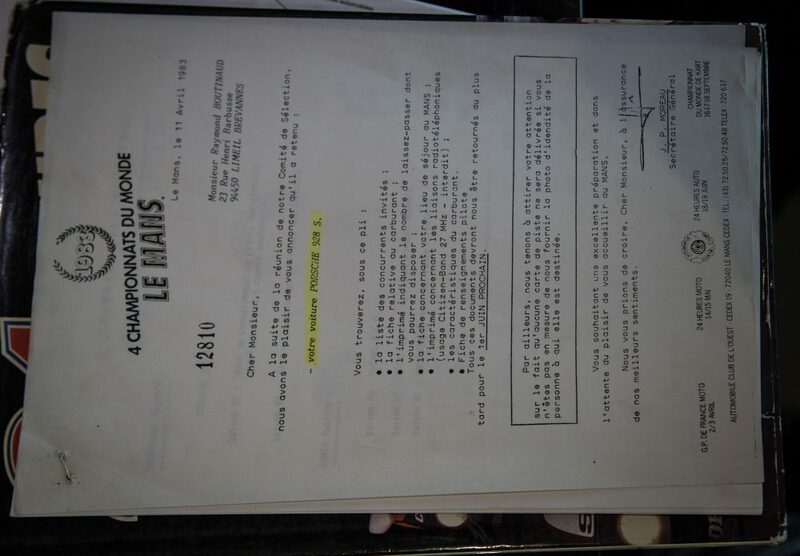 The water loss was managed, and Raymond admits that it was miracle that the engine didn’t blow up, but despite it being very sick at the end they made it to the finish. 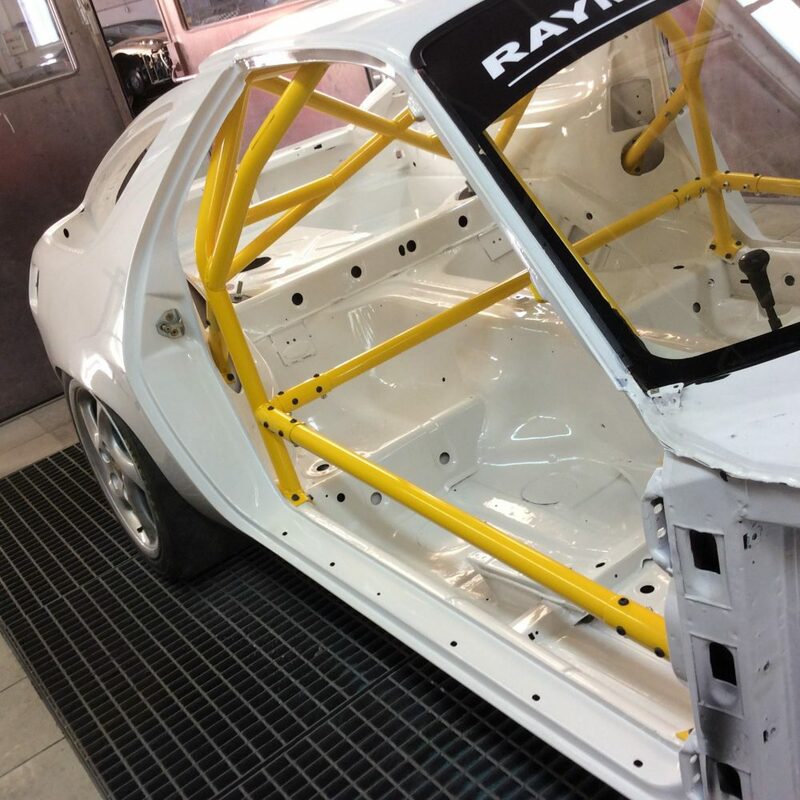 “It’s not much of a racing story,” Ray shrugs. 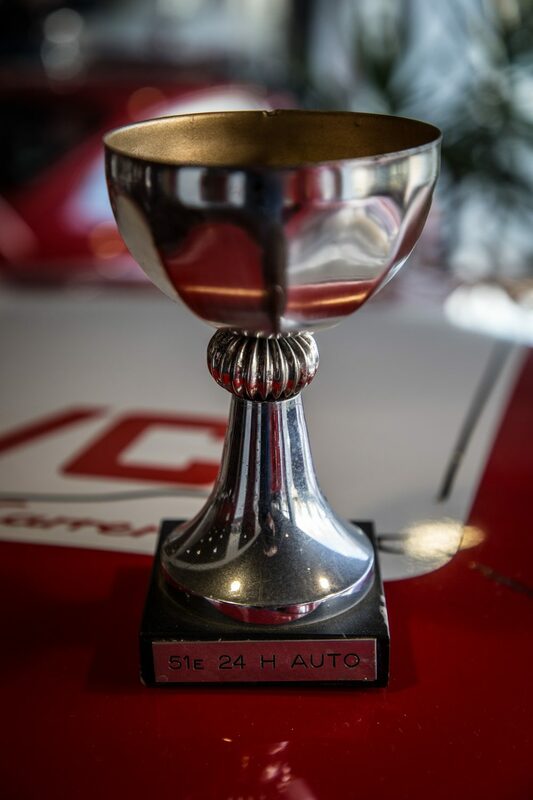 “The only thing we did was go carefully, keep our fingers crossed.” They finished 22nd and last overall and last in Group B… but only two others made it to the end with them in their class, so their perseverance had paid off with a Le Mans podium. The Porsche-sent champagne was complemented this time by one from the organizers. 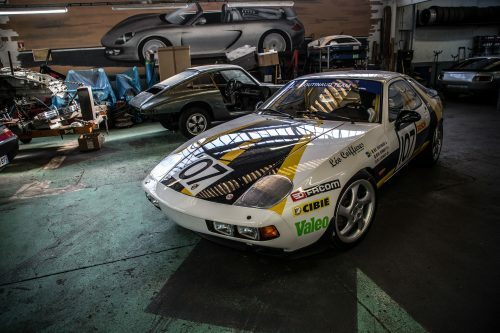 Barth was keen for Raymond to keep racing the 928 with Porsche support, but that support meant Raymond paying for unusual and expensive parts himself, so he decided to go for the easy life and raced with a 911 which was much cheaper. 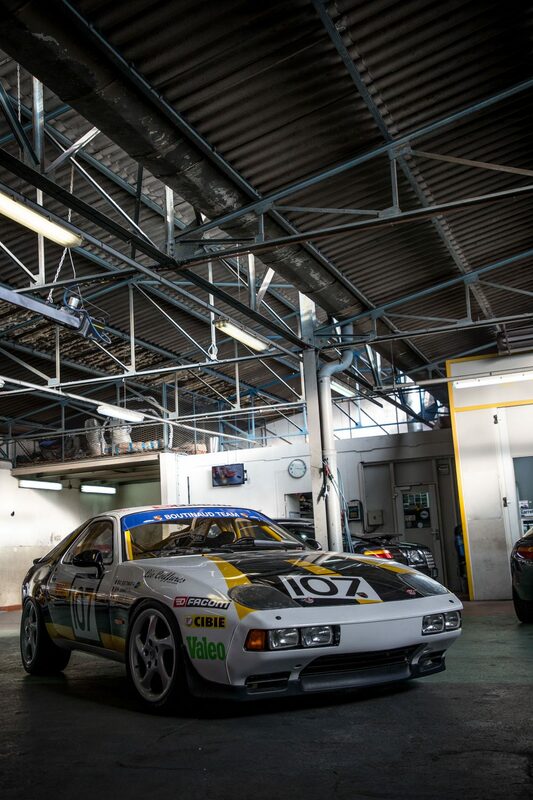 Although he never drove the 928 again, it was always a special car for him and keeping it in dry storage in the workshop meant that three decades later it was still in great condition. The engine wasn’t though. Seriously close to going kaput in ’84 and with thirty years of deteriorating seals that wouldn’t have helped with the problem much, it was swapped out for a unit from an S4 928, which Raymond then had bored out to 5.5L. He thinks it should be good for 450BHP. 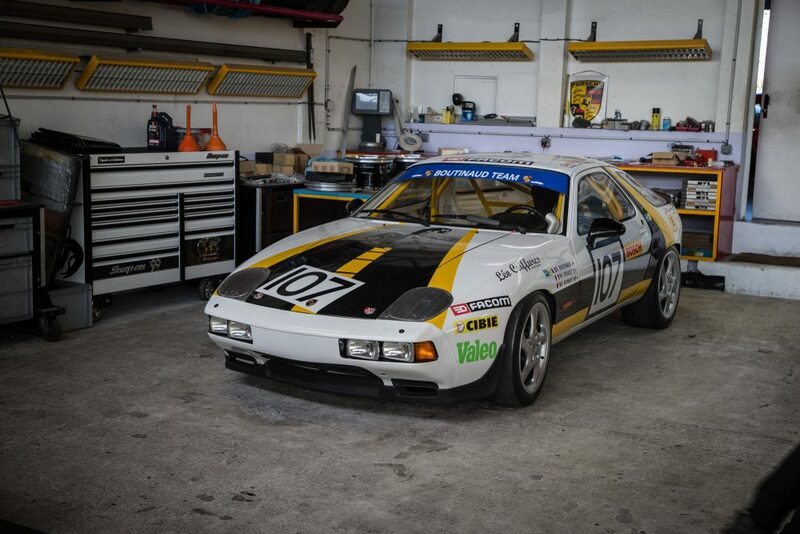 It took two years of spare time and the odd weekend added on, but the whole restoration was pretty straightforward and the car looks stunning. 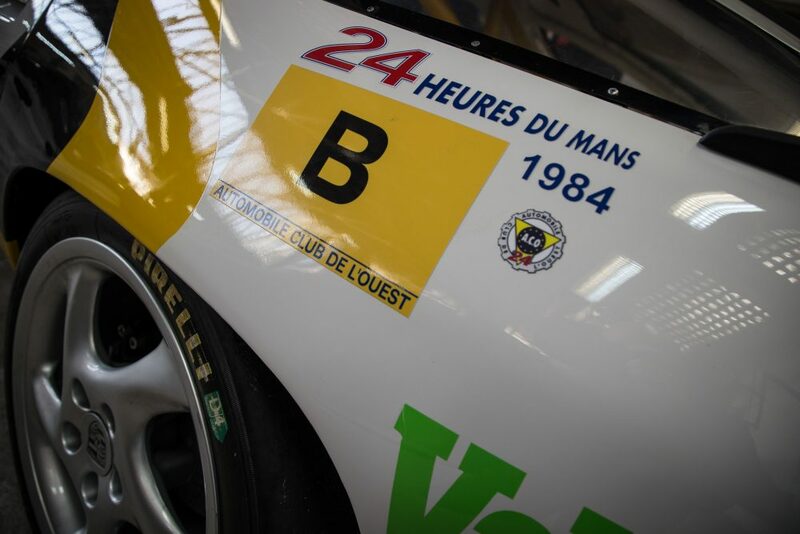 Once the bespoke flywheel to fit between the S-gearbox and the S4 engine is fitted, it will have a couple of test runs to do, but Raymond was saving the proper unveiling for the Le Mans Classic, where this past weekend it was once again the only racing 928 at the famous circuit. Great story and car. 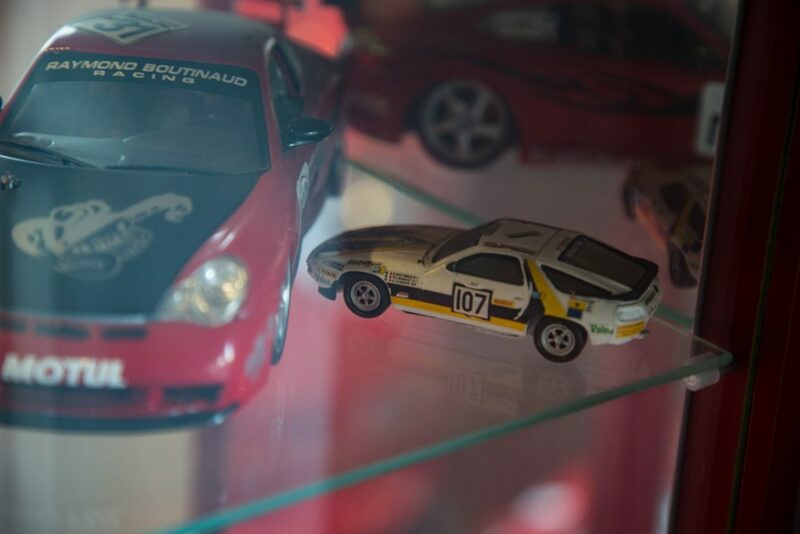 I wish the restoration included more period-correct wheels(even a BBS motorsport wheel would work), but it’s a great effort and an awesome looking racer. 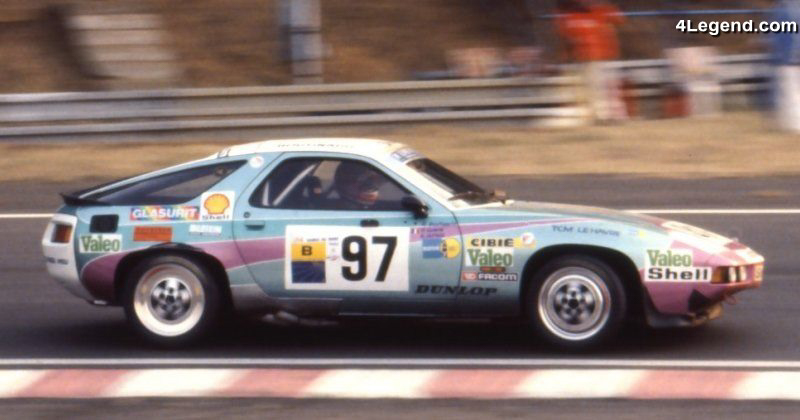 This is the only 928 to race at Le Mans, but a handful have competed at the 24 Hours of the ‘Ring. I’m not certain any have been much more successful! I learnt about this the other day listening to the Gareth Jones On Speed podcast. 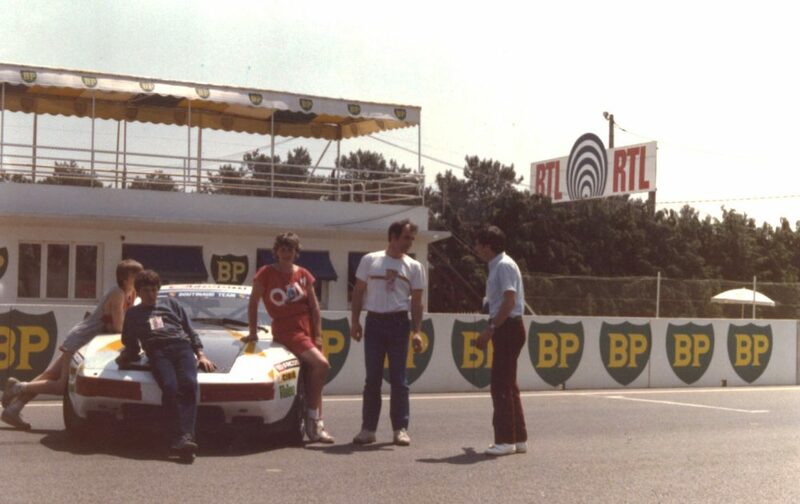 He was telling the story of the 1984 race at Le Mans which was quite a story in itself. It was the only time a local team won the race and it was only by a narrow margin at that. 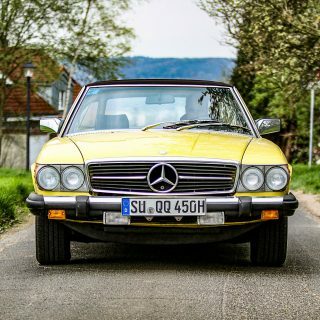 Great story and beautiful car. Thanks. 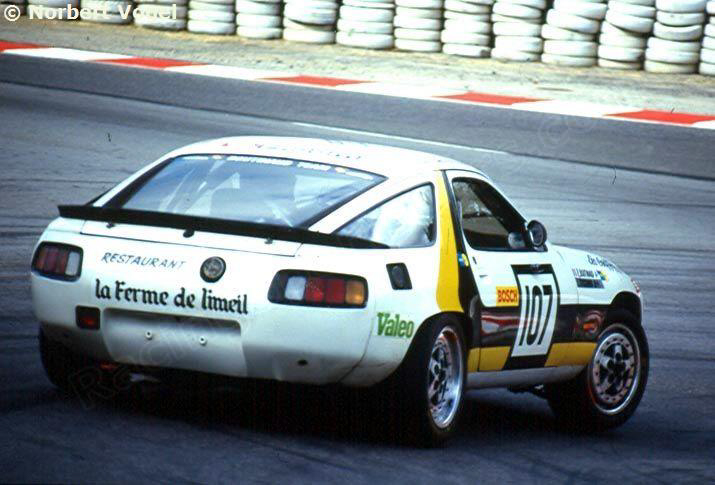 Now find the 928 that raced at Daytona (or was it Sebring?) Bob Hagestad was one of the drivers. Why would you not get a set or original wheels. Those completly throw the look of the car off. 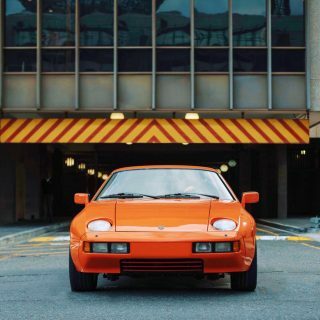 I’ve always had a soft spot in my heart for the 928. I’m glad to see there is some else with more time, effort, and money, to realize my fantasy. That was really a fine story, I was really surprised and impressed. I love that they found parts in the parking lot, and kept going. 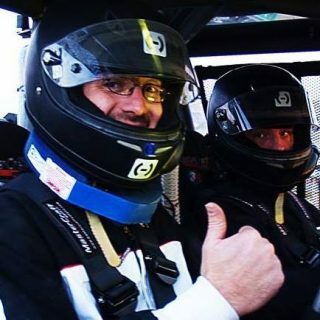 It is a great racing story! From the whole story, that part of going to the parking lot and not giving up, stuck in my head – now that´s perseverance!